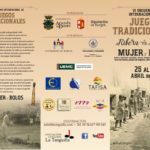 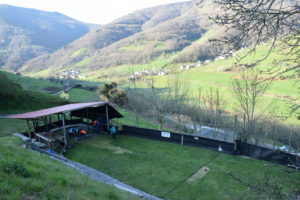 The past 29, 30 and 31 of March took place, in Cangas del Narcea, the International Congress: The traditional game today: surveillance, projection and social utility, organized by the Association of the Vaqueiro Bolo, the Conceyu of Cangas del Narcea, the Sociedá Etnomotora Asturiana and the European Association of Traditional Games and Sports. 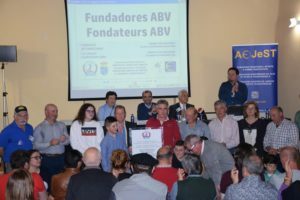 The meeting was exquisitely led by the friends of the Bolo Vaqueiro Association who prepared a rigorous, entertaining, varied and enriching program. 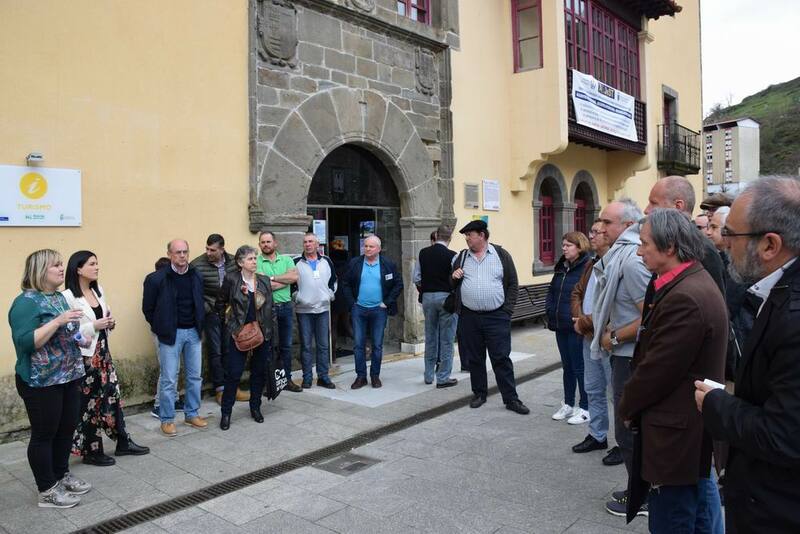 On Friday the 29th there was the reception and institutional opening that was attended by the members of the Cultural Association Lo Nueso; Francisco Álvarez, president of the Bolo Vaqueiro Association; José Víctor Rodríguez, mayor of Cangas Town Hall, and Pere Lavega, president of l’AEJDT. 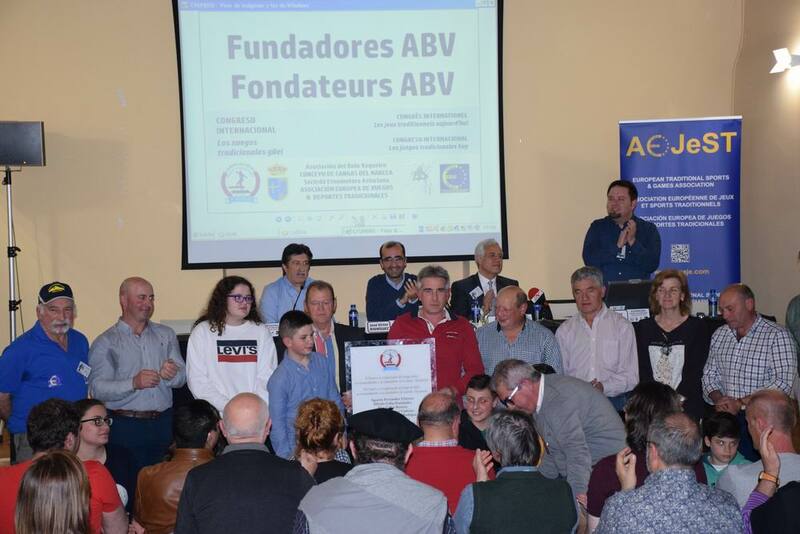 Immediately afterwards, the founders of the Bolo Vaqueiro Association were honored. This event, full of emotion, was very popular and was attended by many of the founders of the association as well as the new generations. 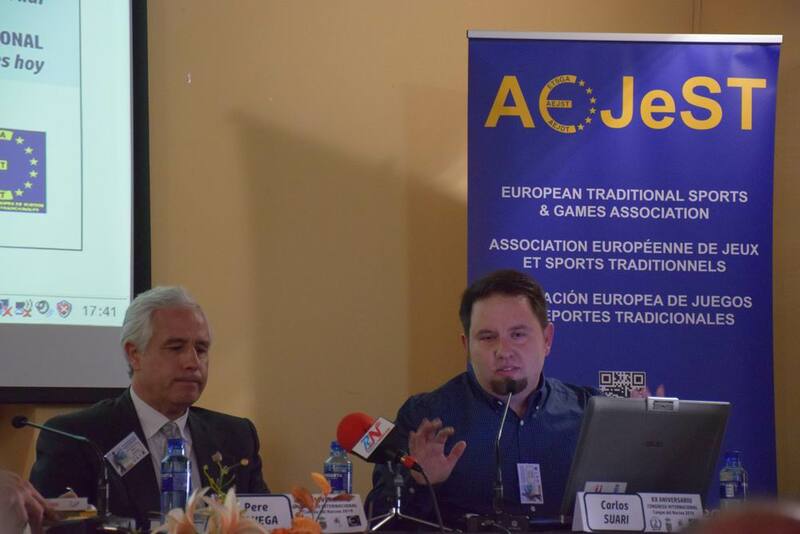 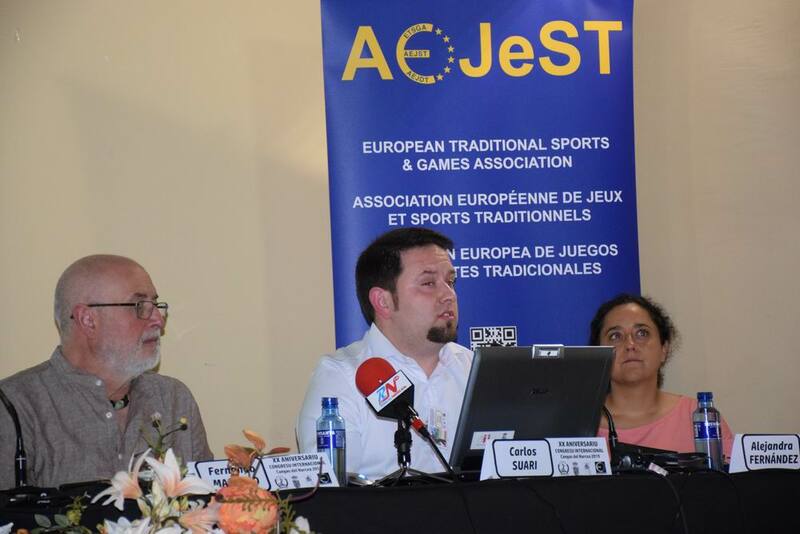 The initial presentation of the congress was read by our presidents, Pere Lavega, who spoke about the need for networking as one more resource to enhance the traditional sports game in contemporary society. Biel Pubill, from the Lo Llaüt Cultural Association and Flix Institute: “Tradijoc”, organization, elements and main actors. 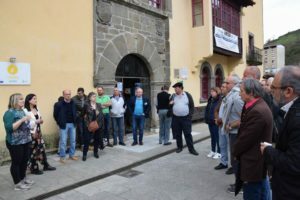 Peggy Liaigrem, of the Confédération FALSAB): Est-il possible d’être l’instituttion la plus ancienne et la plus moderne? Carlos Suari, from the Sociedá Etnomotora Asturiana: The traditional game, a heritage to be activated. 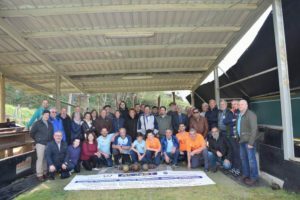 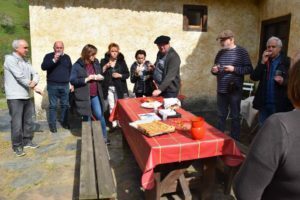 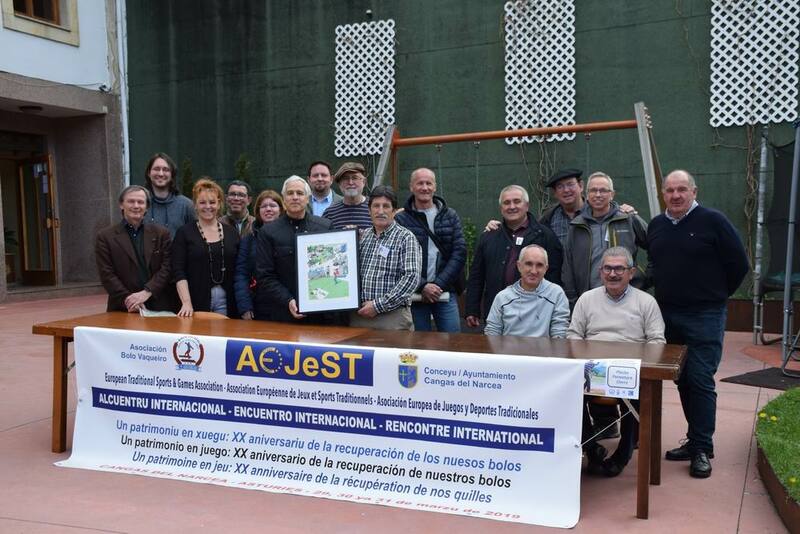 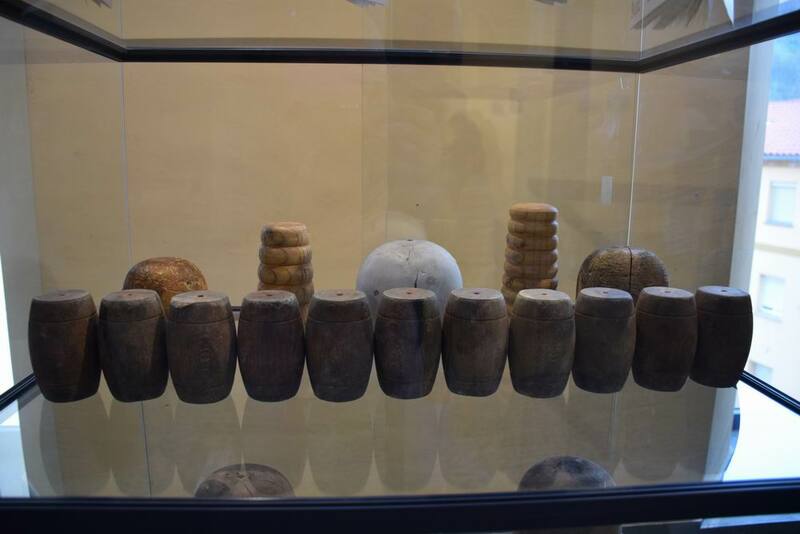 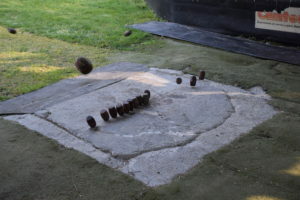 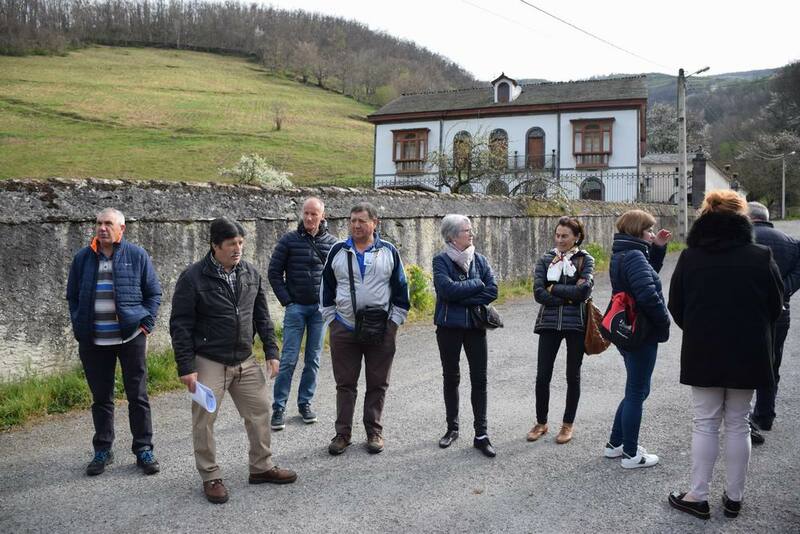 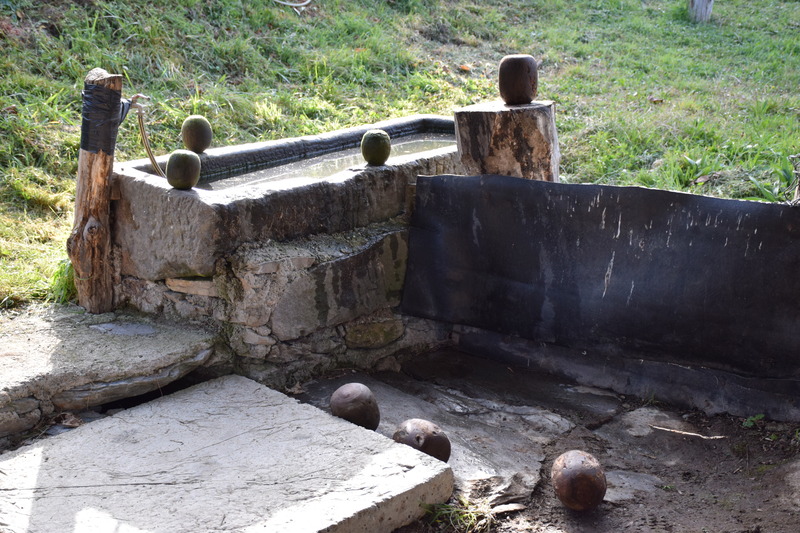 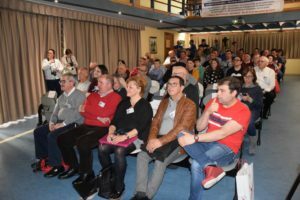 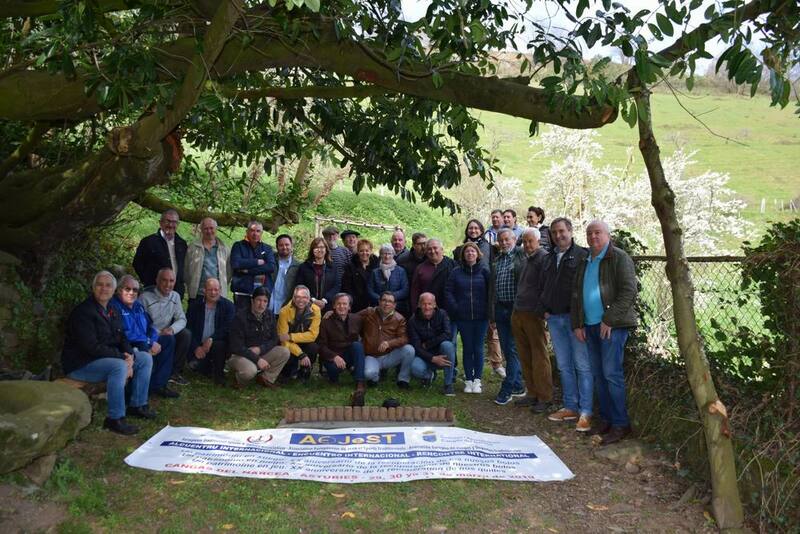 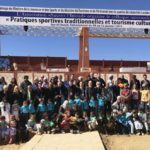 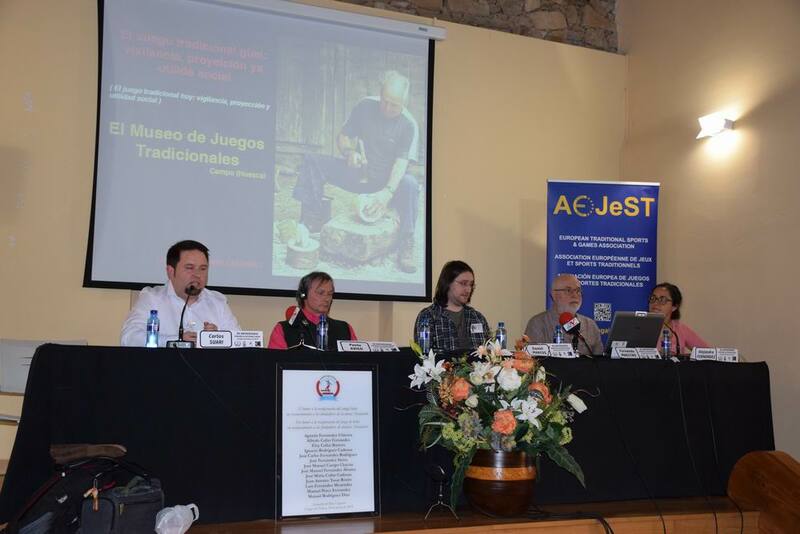 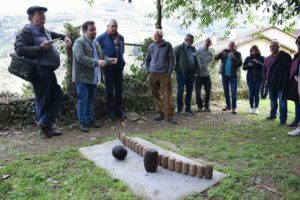 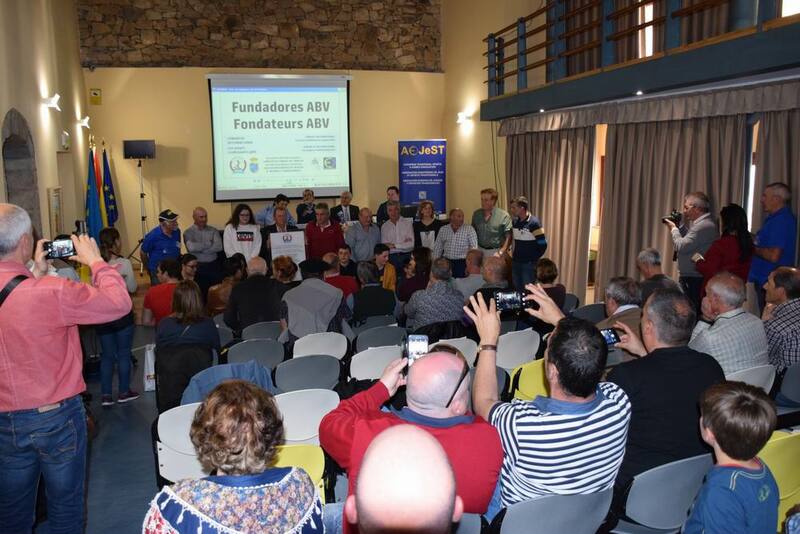 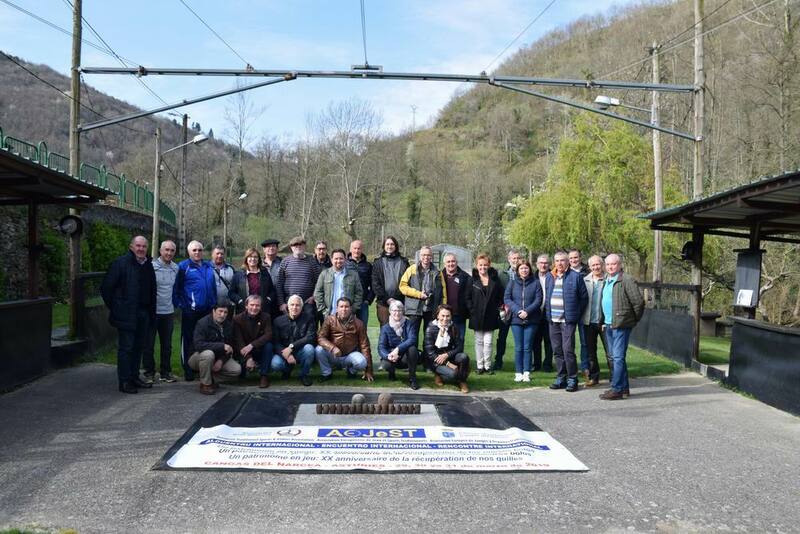 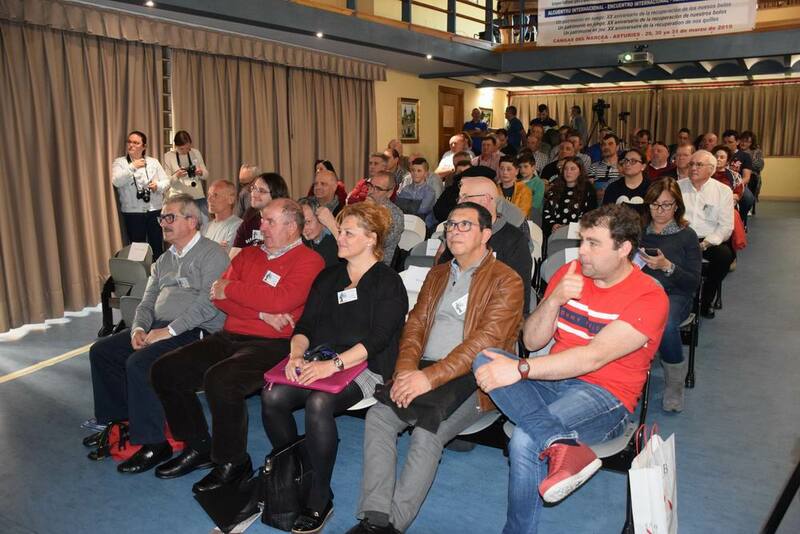 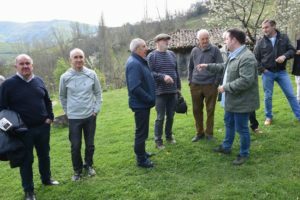 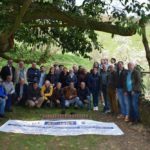 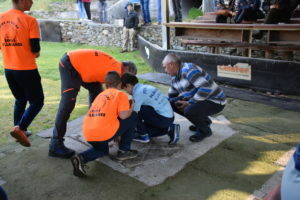 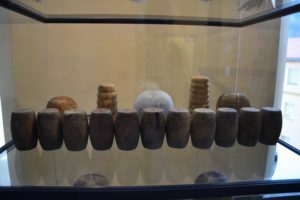 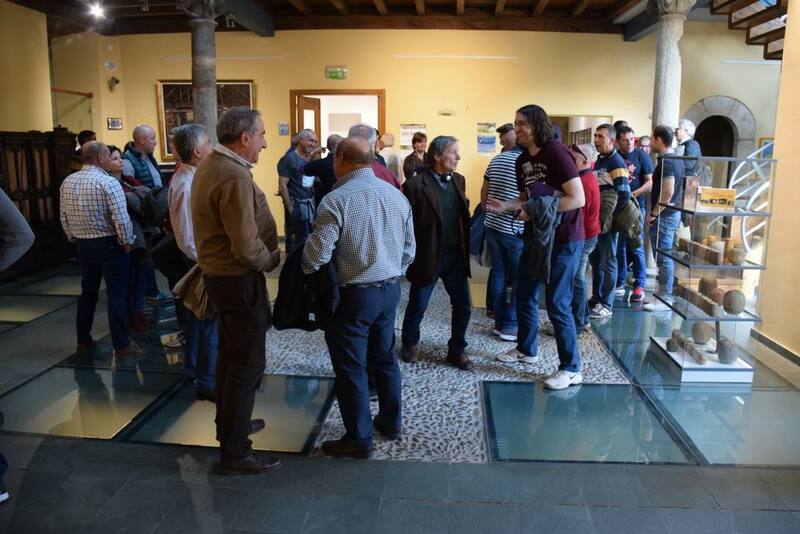 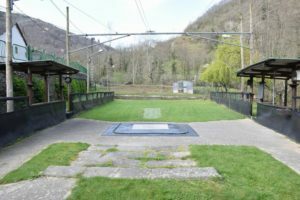 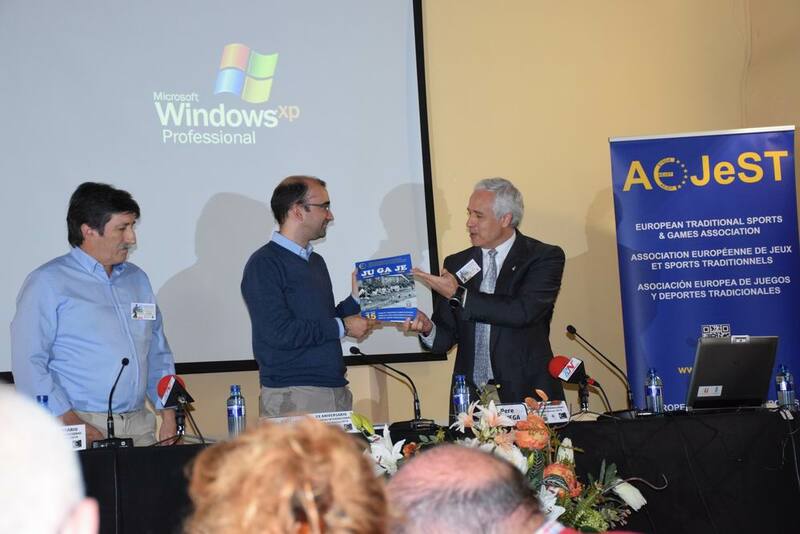 The conference also had multiple parallel and complementary activities such as the laying of the first stone of the municipal skittles alley of Cangas del Narcea, the visit to the town and the exhibition “20 years to not forget”. 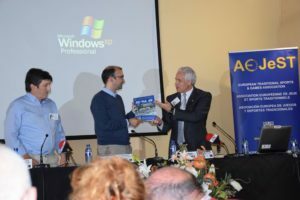 It is necessary to emphasize the exceptional program on Sunday 31 of March. 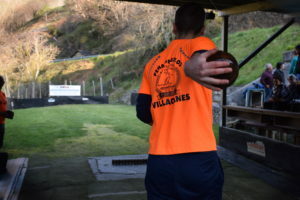 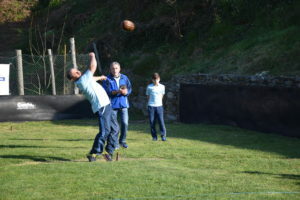 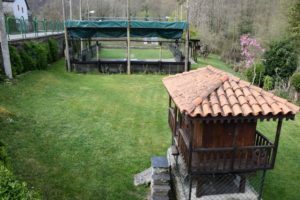 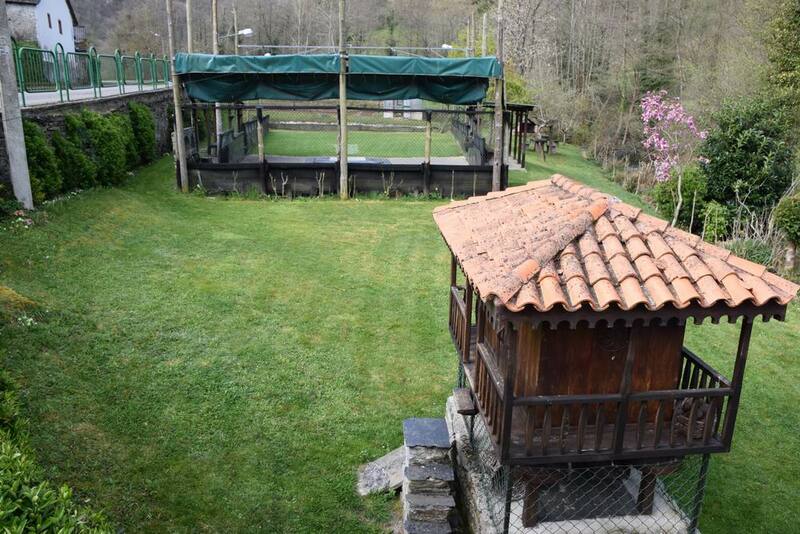 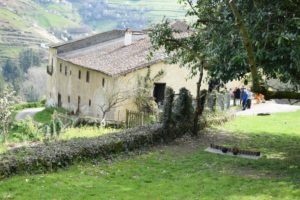 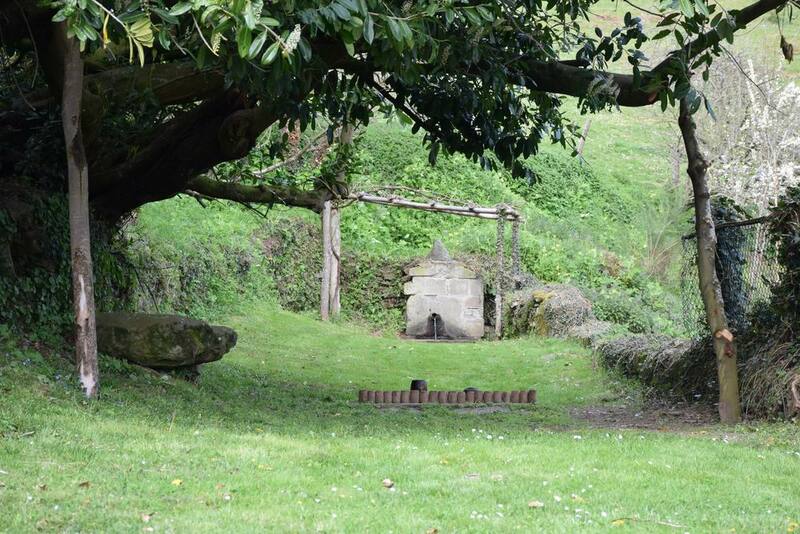 With the title of Etnovisita to the recovery of the game an excursion was organized by different towns near Cangas to be able to see skittles alleys and enjoy the game. 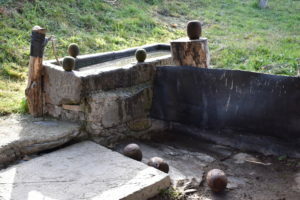 The towns of Vil·laicanes were visited, where a skittles competition could be seen; the Bimeda, with a magnificent and well preserved bowling; and in L·lumés we visited the Ardalí Palace, located in a surprising natural environment, and there we discovered a fantasy skittles area located between pastures and rural landscapes. 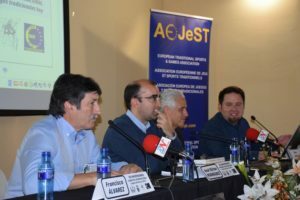 Coinciding with the International Congress: The traditional game today, took place the Meeting of the Council Board of AEJsST in which topics pertaining to each of the nine projects in course were discussed. 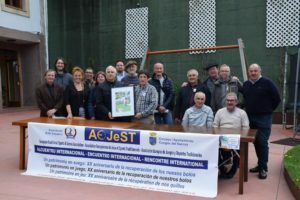 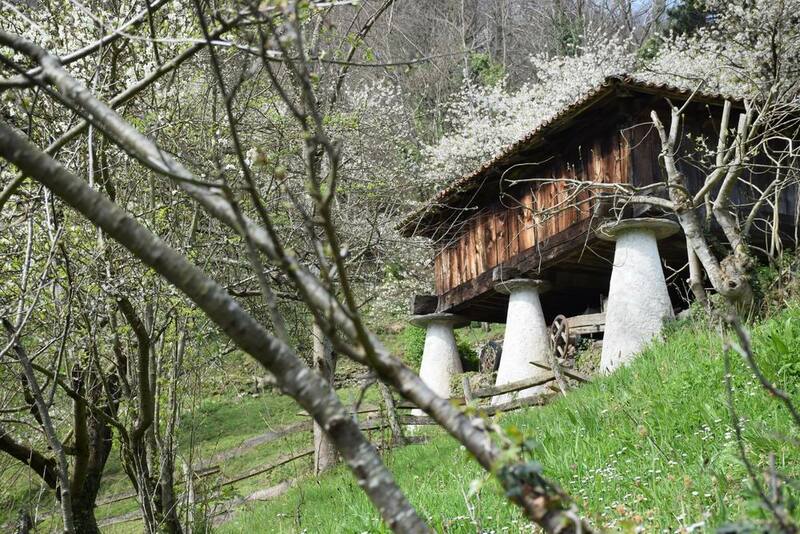 Special attention was given to the drafting of the Internal Regulations and updating of the statutes that are planned to be voted on at the next General Meeting of the AEJeST, in the Valle d’Aosta between May 30 and June 2.